Spread across the Allegan State Game Area are almost 30 miles of foot trails with the heart of the system centered around Swan Creek and separated by the 118th Avenue dam. To the north is a 5-mile loop along the creek to the edge of Koopman Marsh. The much more scenic route, however, is to the south, where a 5.8-mile loop skirts Swan Creek Pond and then the creek to 116th Avenue. 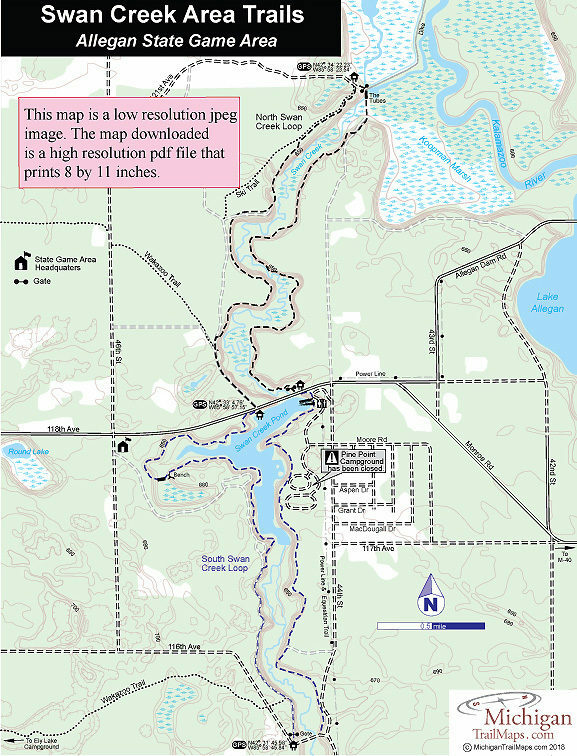 Another system of short trails is centered around the Ely Lake Campground while connecting the Allegan County campground and the Swan Creek hiking trails is the Wakazoo Trail, one of the longest trails in southwest Michigan. 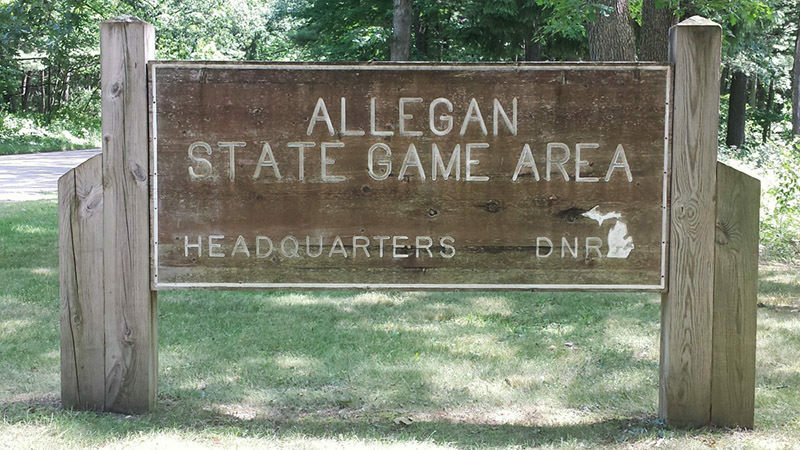 In 1964, the Michigan DNR created the Allegan State Game Area by combining the Allegan State Forest, the Swan Creek Wildlife Experiment Station, and the Fennville State Game Area. Located between Allegan and Fennville, the 50,656-acre unit includes parts of seven lakes, bogs and large marshes, open meadows, and oak, maple, and pine forests that cover the sand plains in west-central Allegan County. Flowing northwesterly through the area on its way to Lake Michigan, just 10 miles away, is the Kalamazoo River. 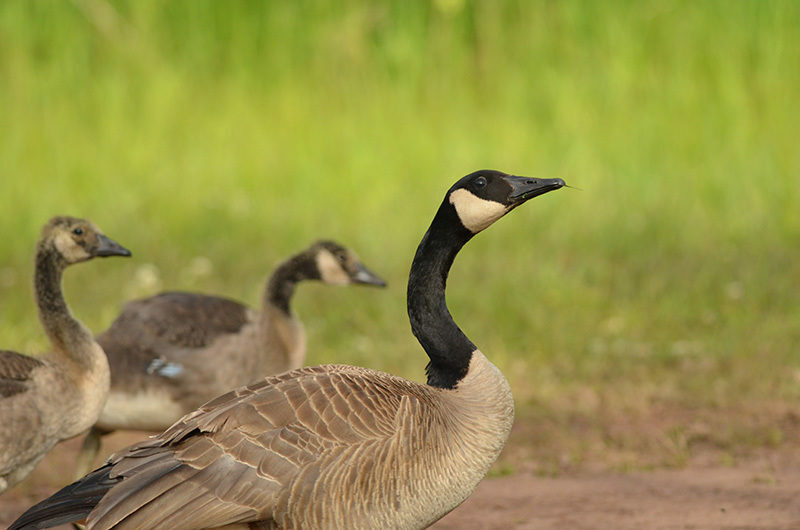 Allegan State Game Area is managed primarily for waterfowl, and during the fall migration, 75,000 to 100,000 Canada geese alone stop in the game area to rest for a week or two before continuing their flight south. Peak migration traditionally occurs from November 1 to 15, when as many as 30,000 geese may be in the preserve at one time. It’s an impressive sight and a lot of honking. The area is also known for its variety of warblers. But the most famous bird here is the wild turkey. After being hunted into extinction in this area, the DNR reintroduced the wild turkey in 1954. In November 1965, after a stable flock had been established, the first modern-day season in Michigan was held. Spread across the game area are almost 30 miles of foot trails with the heart of the system centered around Swan Creek and separated by the 118th Avenue dam. To the north is a 5-mile loop along the creek to the edge of Koopman Marsh. This stretch attracts steelheaders. For hikers, however, the much more scenic route is to the south, where a 5.8-mile loop skirts Swan Creek Pond and then the creek to 116th Avenue. Although the area is not hilly, both trails follow the base of a river bluff at times and contain a surprising amount of up-and-down hiking. They also pass a number of marshes and areas of stagnant water, which means the bugs can be thick here from late May through mid-August. Another system of short trails is centered around the Ely Lake Campground while connecting the Allegan County campground and the Swan Creek hiking trails is the Wakazoo Trail, also referred to as the Northwest Trail. This 14-mile loop, one of the longest trails in southwest Michigan, is a relatively flat route that at times skirts equestrian trails and crosses backcountry roads. Horseback riding is a popular activity in the state game area thanks in part to the Allegan County Equestrian Trail System (ETS), a 60-mile network of designated equestrian trails. The ETS consists of two separate trail networks with much of the system is centered around Silver Creek Equestrian Park and Campground east of M-40 near Hamilton. But equestrian trails do connect Ely Lake and the Swan Creek area and day ride parking areas have been set up at Pine Point and the Ely Lake Campground. In the winter a system of cross-country ski trails is open when there is sufficient snow. The ski trails form six loops that span from north of M-89 to southwest of 116th Avenue and total more than 19 miles. The main trailhead in the winter is near the Allegan State Game Area Headquarters on 118th Avenue. Located within the Allegan State Game Area, Ely Lake Campground is managed by Allegan County and features 73 primitive campsites of which 16 are open to equestrian camping. Other amenities include vault toilets, drinking water and a swimming beach on Ely Lake. There are DNR public access sites to both Ely and Little Tom Lakes. Pine Point Campground overlooking Swan Creek Pond was closed in 2016. Trailheads with the state game area offer limited parking but no source of drinking water. 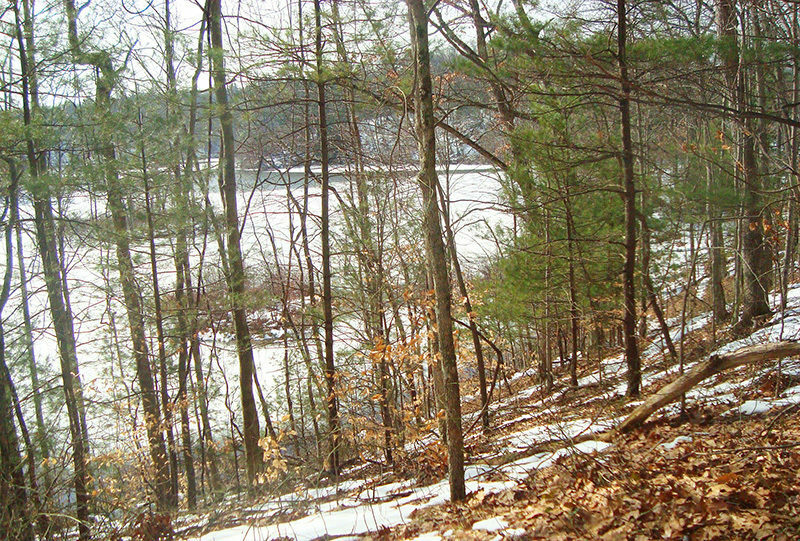 Allegan State Game Area is open year-round and in the winter features a cross-country ski trail system of six loops that total more than 19 miles. The state game area lies just west of the town of Allegan, which is almost halfway between Grand Rapids and Kalamazoo. It is reached by departing US-131 onto M-222 (exit 55) and heading west 10 miles. In Allegan, the state road merges with M-89, which should be followed north to Monroe Road on the edge of town where there is a state game area directional sign. Travel west on Monroe Road, a scenic drive that curves around Lake Allegan, for 7 miles. You then merge with 118th Avenue and reach the Swan Creek dam, the focal point of the two Swan Creek loops. Call the Allegan State Game Area Headquarters (269-673-2430) or stop at the office at 4590 118th Ave at the corner of 118th Avenue and 46th Street. 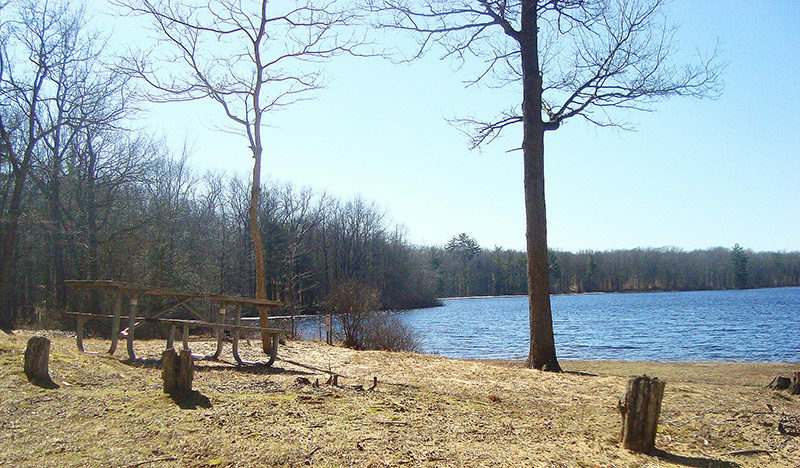 For more information on Ely Lake Campground contact Allegan County Parks and Recreation Commission (269-673-0205).